Welcome on my site! You will find reports, pictures and video's of inline skating events I participated in. 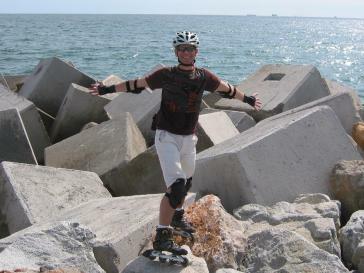 I've met lots of nice skaters from all over the world. It's difficult to stay in touch with all of them, so I publish pictures and videos to keep friends up to date of my latest adventures. Also, I hope to make others enthousiastic about the places I visited. Check out the video section too! St Gallen One-eleven inline Race 2004, Switserland.